Branding, new logo, business cards, responsive website. 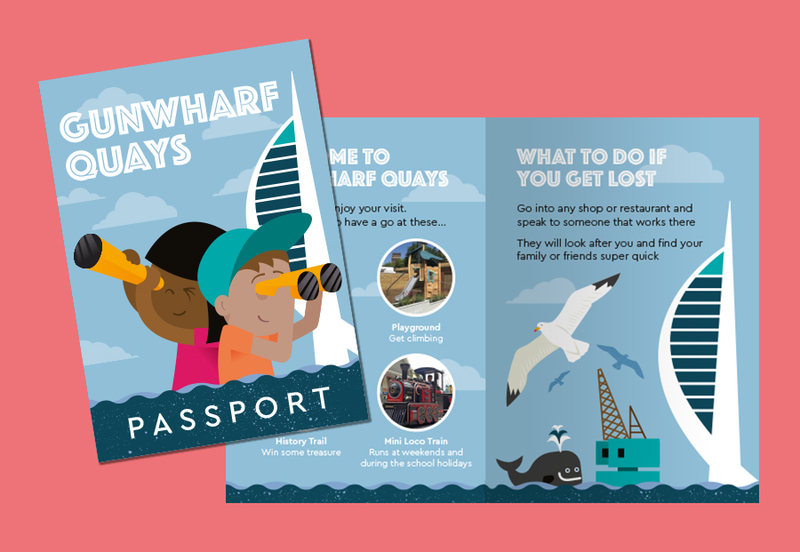 Starfish has designed a pocket sized children’s ‘passport’ for Gunwharf Quays as part of their Lost Child Scheme. The A6 booklet contains essential information for parents and children plus some fun and games. All illustrated with specially created characters coloured from Gunwharf’s new brand guidelines palette. Wristbands, posters and window decals completed the package.